Today is Halloween, and on October 31st I almost feel normal. Hello, my name is Jennifer, and I love headstones. 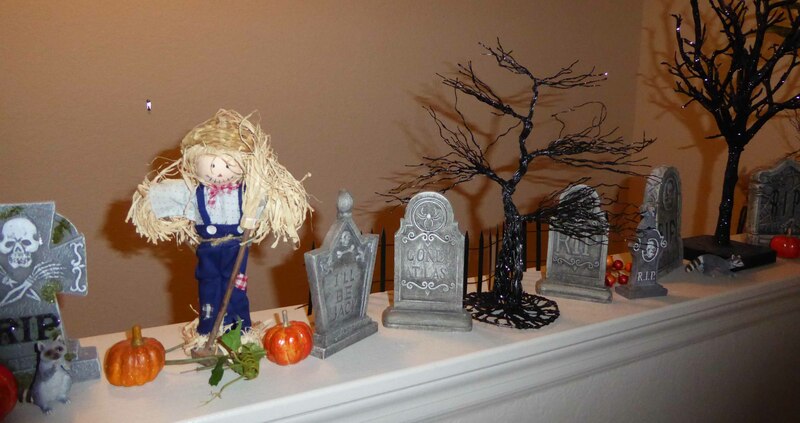 With that in mind, October 31st is about the only day of the year where my normal home decor look just that, normal. I’ve been told I’m a quirky person, and one of my quirks is that I’m a rabid genealogist. 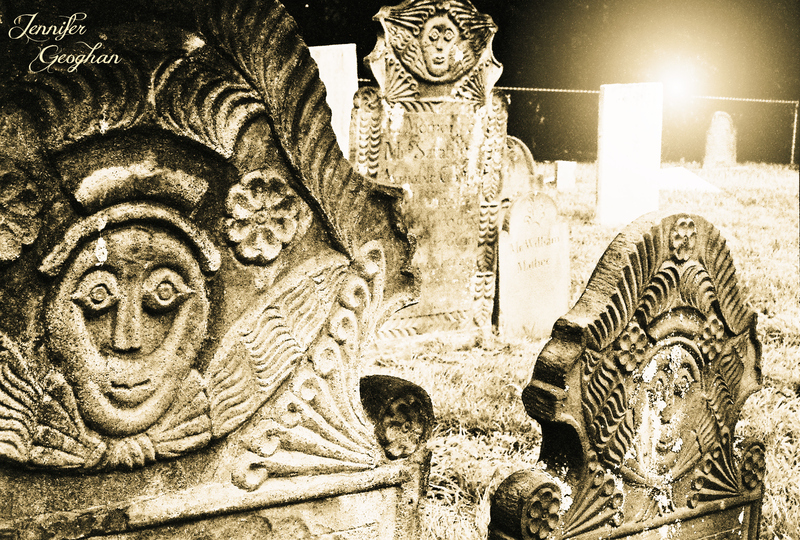 It was genealogy and the endless search for the graves of my ancestors that lead to my love of old headstones. Look at the artistry, the story carved in stone. 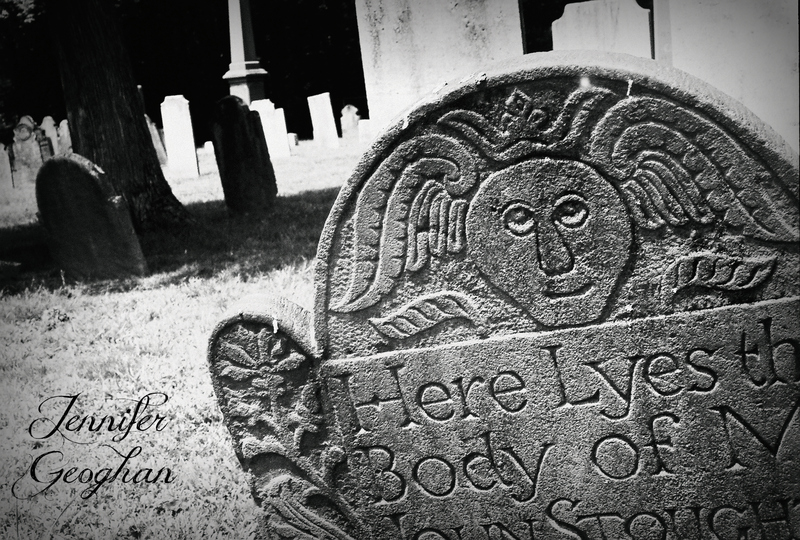 Every era has a headstone style, every stone carver a style of their own. Just wander through a cemetery that spans multiple generations and you’ll see. Want to try something fun? Go into your local cemetery, find one of these old headstone and write a short story about the name on it. Try to imagine what that person’s life was like back when they lived on this Earth. In a way I think it’s how we can keep the names of those lost with us. I know I’d be thrilled if someone did this for me a couple hundred years from now. If you start hanging out in cemeteries, you may develop a deep love of headstones and start to collect them. Once you start to collect them, you’ll like to display them all year round. Once you start to display them all year round, the only day you’ll feel normal is today, October 31st. Me. 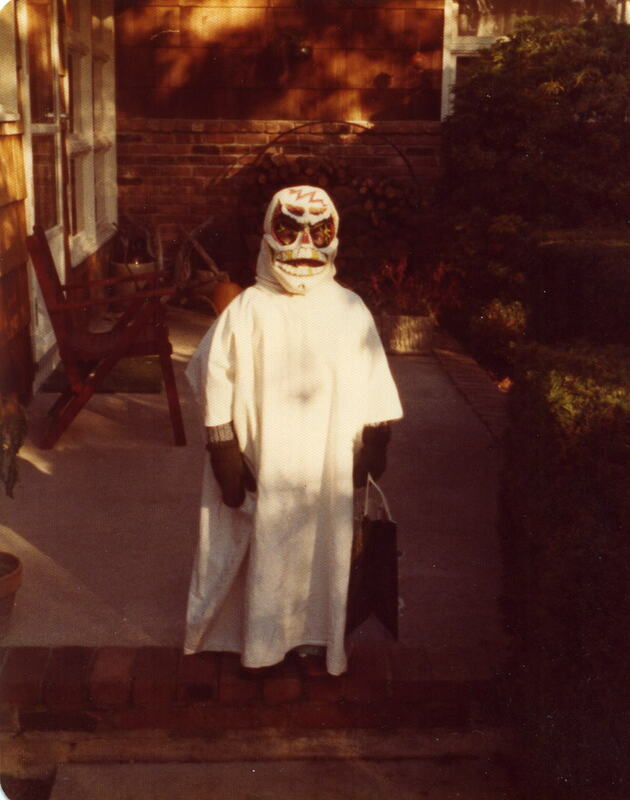 Creepy even at age 5. I think I was destined to write vampire novels from a young age!